Reconnect to nature and the elements this summer with a fun, energising and inspiring retreat in a stunning alpine setting. La Ferme du Soleil is the perfect environment to unwind and take a break from the challenges of everyday life. The secluded chalet is full of warmth and life combined with magnificent Alpine views. Despite the peace and tranquility of its location, La Ferme in Le Grand Bornand is easily accessible, just over an hour from Geneva airport. 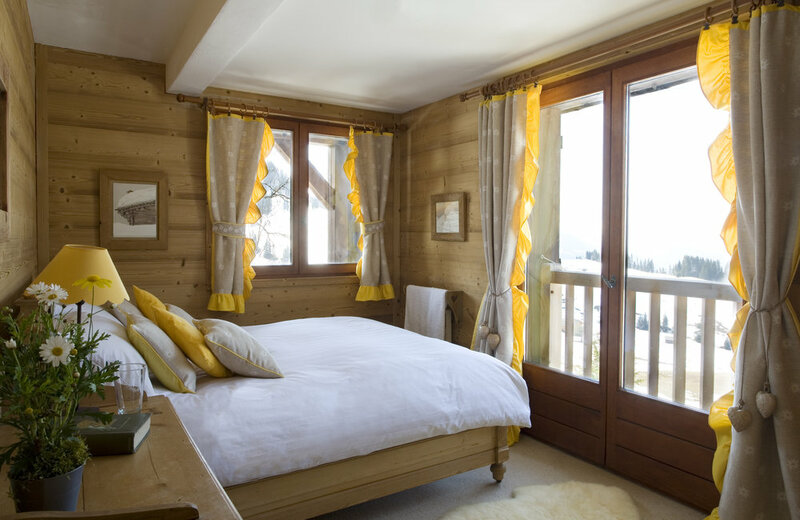 Each room in the chalet has been carefully decorated maintaining an authentic yet luxurious style. The surrounding meadows are dotted with alpine wonders; colourful fields of flowers, the enchanting sound of cowbells, golden eagles soaring high above and flocks of ibex across the valley. There will be plenty of opportunity to relax and recharge with twice daily yoga and meditation, delicious vegetarian food, ayurvedic cooking workshop, sunrise yoga, moon meditation, hikes as well as lots of free time to explore the local area or rest in the peaceful surroundings. The elemental approach explores nature’s cycles and seasons. It recognises that by harmonising with them, in turn we create more harmony and balance in our own lives. Spending time in nature is the most beneficial and supportive environment to explore and deeply benefit from yoga and meditation practices. So, join us for a wellbeing reset. You will leave feeling refreshed, with a stronger, healthier, mind and body, improved focus and renewed sense of purpose. Laura has been practicing yoga for 18 years, her teaching is inspired by trainings across a number of disciplines; including hatha, vinyasa flow, elemental yoga therapy, pilates, pre and post natal yoga, SUP yoga and yoga and mindfulness for children. Laura is a holistic health coach and reiki practitioner. Her teaching is intuitive, nurturing and offers an opportunity to explore connection; when we harmonise breath with movement, our bodies access a state of flow, this space supports a deeper connection to ourselves and to everything around us. Classes are playful, creative, delicately balancing effort with ease and inspired by a deep interest in holistic wellbeing.